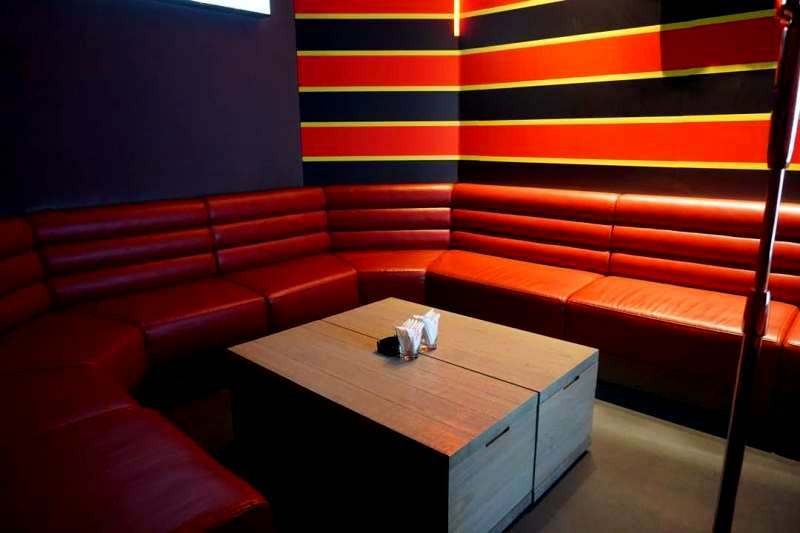 Choose something to fit your group such as the ‘Let’s Sing’ package at RM200 that fits 3-4 pax in a room that includes a tower of Tiger beer or Merlot red wine and two servings of Chicken Popcorn. 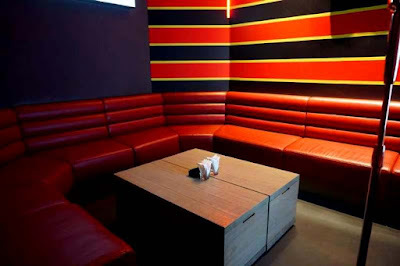 For RM500 for the ‘Ladies & Gentlemen’ package of up to 10 pax get a bucket of Budweiser (six bottles), Merlot red wine, two servings each of chicken popcorn, fries and sausages as well as a tray of six shots with a choice of Tequila Lemon Drop, Sour Plum or RedTail smash). For a full on ‘Party in the House’, for RM1,000 you’ll get a tower of Tiger beer, Moet Champagne, Chandon Imperial, a tray of 12 shots as well as two servings each of chicken popcorn, fries and chicken or beef sausages. 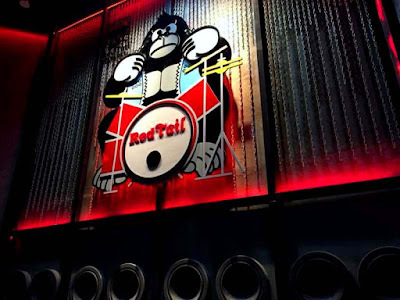 For hunger pangs, RedTail Karaoke has snacks on hand to order such as salted peanuts and twisties. 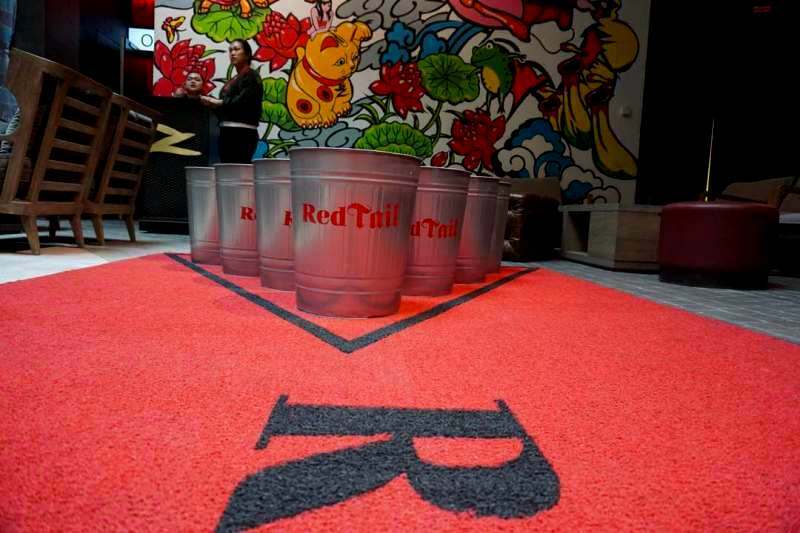 Just outside, RedTail by Zouk is a bar like no other with its package of exciting games including Beer Pong, Electronic Beer Pong, Giant Jenga, and Xbox E-games as the perfect pre-club spot to gear up for the night. 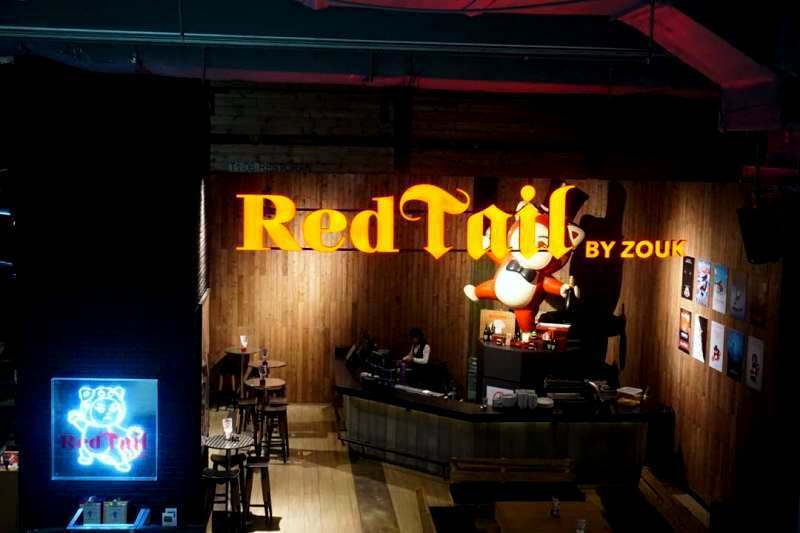 For millennials looking for a perfect drink, look no further as RedTail offers unique concoctions such as Zouk’s signature sour plum shot, the go-to shooter for partygoers in Singapore.